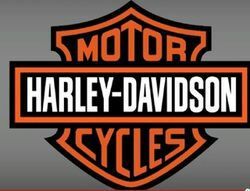 Harley-Davidson recently announced that it was recalling about 9,100 motorcycles because they may unexpectedly run out of fuel and stall. The motorcycles recalled are the 2013-2014 FXSB Breakout and FXSBSE CVO Breakout models. The company discovered the problem in January when a company engineer unexpectedly ran out of fuel. The company investigated and found that the recalled vehicles had a difference in suspension. The difference changed the angle of the fuel tank by about three degrees, which caused an incorrect fuel-level reading. According to the company, it will update the software for the fuel-level sensor. Fortunately, there have been no reports of accidents, injuries or deaths related to the recall. This recall was issued quickly after the problem was found, and no one was harmed as a result of this problem. Since the defect involved a motorcycle, it could have been very dangerous if not discovered. Motorcycles don't offer the natural protections that cars and trucks do, and if a motorcycle stalls or dies on a turn or during another maneuver, the motorcyclist could be seriously injured or killed. If an individual is harmed as the result of a defective consumer product, such as a car, truck, or motorcycle, the individual has the right to compensation for those injuries. Typically, an accident victim will receive compensation for medical expenses, damage to the vehicle, pain and suffering, wages lost because of time taken off work due to the accident, and other expenses. Family members may also be entitled to compensation. The manufacturer or retailer is typically the party that is held responsible for damages, although other parties may also have been negligent. If you have been a victim of an accident because of a defectively manufactured motorcycle, car, truck, or another consumer product, call the Houston product liability attorneys at Kennedy Hodges at 713-489-9493. We will be happy to provide you with a free consultation, and you generally do not pay any attorneys' fees unless we get an award for you. You can also visit our Twitter page to learn more.